Once you purchase a made-to-measure shirt, you will soon realize that no off-the-rack shirt can ever fit as well. With our large range of cotton and linen fabrics, available in solid colors and various stripes and checks, the possibilities are endless. 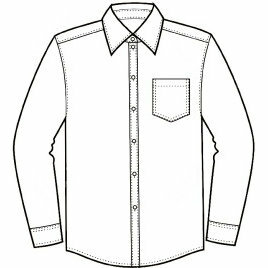 We can make shirts with any collar shape and style, stiff or soft, with or without collar stays. Cuffs can be made short or long, barrel or French (for cufflinks), soft or stiff. From casual open-neck shirts to wing-tipped formal shirts, we can make you the style and fit you're after. E-mail us your ideas and we'll be happy to discuss your perfect shirt.